Welcome to Schreiber Studio in West Palm Beach, Florida featuring the artwork of Maxine Schreiber and Herman Schreiber. 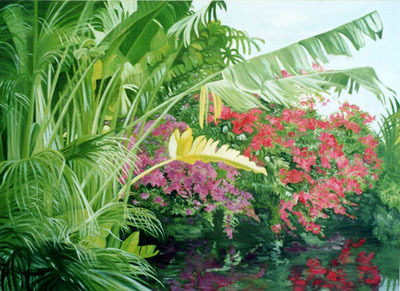 The gallery includes Florida landscapes, gardens and local architecture in oil and portraits and landscapes in pastel. Welcome to the online portfolio of West Palm Beach oil painter, Maxine Schreiber and her late father, pastelist Herman Schreiber. Maxine re-launched her painting career in 2001 after a nearly 30 year career as a psychotherapist, closing her private practice in 2005 to pursue painting full time. She is inspired by the rich hues of Florida's landscape and the character of local architecture. She enjoys working with oil paints as her primary medium. Herman Schreiber was a well known artist both in his native New Jersey and in Delray Beach before his death in 1995. His "ultra-realistic" style and mastery of the medium of pastel won him many prizes and awards. 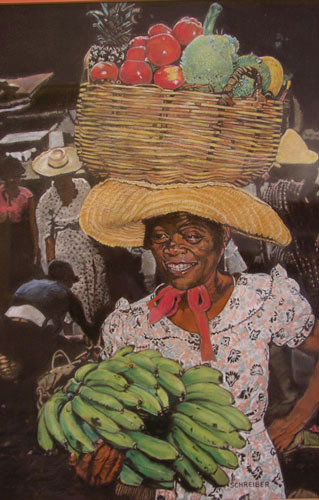 As a member of the Delray Art League, he exhibited in numerous shows at Old School Square and other Delray and Boca Raton venues. He also had works in the Society of the Four Arts in Palm Beach in the 55th and 56th Annual Juried Exhibitions.